are better at explaining mechanical engineering than most high school science classes. There's plenty of them, if you have kids or grandkids. Set up a new smaller blogroll for all those authors out there that I either linked to, or needed to link to. More will be added as I see fit. Oh who am I kidding, we have jobs. We can't be out there protesting all day, we have to make sure that those welfare recipients can continue to stomp on innocent people who accidentally walk into the wrong neighborhood. But a co-worker just gave me about two pounds of the fresh stuff, and I have no earthly idea what else to do with it. I mean, fried okra is the bomb, but I don't need that much. So c'mon, you Southern gents, give me your ideas. The Ragin' Mrs. and I are thinking about cutting off the tops and filling them up like jalapeño poppers. I want to cut them in half, stuff them with sausage and make little tasty boats out of them. Anybody got any good recipes? Other people have said enough about it. Entire digital reams have been written about it. I'll let all those folks get into the deep analysis. My take away? A black, gay, Obama supporting Democrat shoots two white people, and the Left says we need more gun control. You shouldn't be soaked in sweat just from doing the dishes. They have the electric fly swatter, now they need the Bug A-Salt Rifle. Mom would giggle. Dad wouldn't put it down for days. Lois Lerner had another email account under the name of "Toby Miles". There should be a never-ending stream of journalists asking her who "Toby Miles" is. But since the Democrat Media Complex exists in order to protect their political masters rather than report on actual news, she'll be uninterrupted until the story just goes away. Meanwhile, if I had not one but TWO illegal email accounts that I was using to conduct official business, I'd already be spending my days at the Disciplinary Barracks of Fort Leavenworth. But then, I'm not a politically-connected fascist with Marxist friends in high places. Ragin' Dave's Quote of the Day, FWP Edition. 1. Leftists have no moral constraints and love power above all things. 2. The amoral power-seeker has a huge advantage over others in the acquisition of power. 3. Any organization that has any sort of rules of membership or operation is a power-concentrating entity. 4. Thus, Leftists will seek to dominate any and every organization, no matter how small, if only to keep anyone else from doing so…and their natural advantage will guarantee them eventual success. Read both. It's worth it. Ground my own beef. Made burger patties. Cooked up some Black Forest bacon. Drained pan, cooked patties in the little bacon grease left over. Flipped patties, added a good Irish cheese. Added pickles. 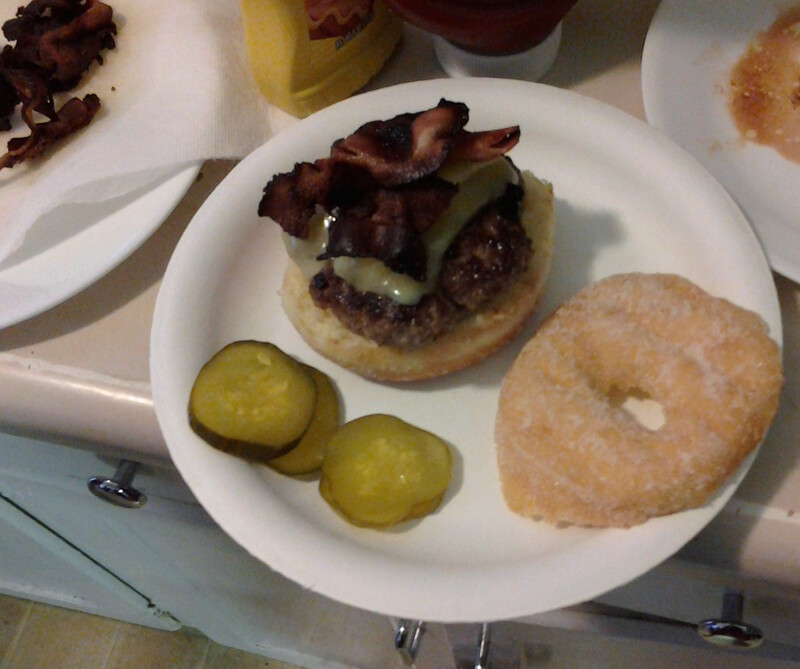 Plated burger on donuts left over from church. Oh yes, it was damn good. Yes, I ran this morning. Why do you ask? That the Leftists cared more about good writing than their political ideology. I know, I was a fool. It was but a faint hope, but yet I hoped it. 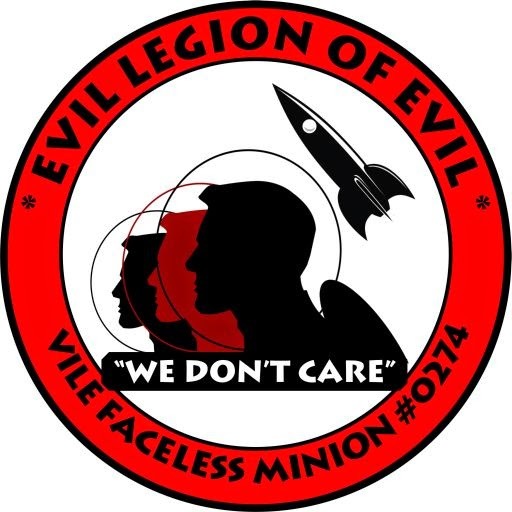 Looking at the voting totals for the Hugo Awards, the Leftists burned them down rather than allow anyone else to win one who wasn't of the correct political persuasion. They used scorched earth tactics to make sure nobody outside of their politically approved group got an award. So be it. The rules are set for 2016, where "No Award" may very well take every category. Heard this song over the radio, can't get it out of my head. Even though it's kind of a mellow tune, this is one rocking song. Watching the live versions out there you can see the musicians just kind of take off and go crazy.